This article is a review of MAN UP. The romantic-comedy. Is there a more creatively bankrupt genre? (Horror is obviously hot on its heels in terms of the ratio between quality and volume.) Actor Simon Pegg needs to stop doing these. After RUN, FATBOY RUN and HOW TO LOSE FRIENDS AND ALIENATE PEOPLE, his latest is a third strike. Selling the fallacy of partner perfection and relationship plain sailing, after initial trial by fire of finding one another, is an arguable sad contributor to modern Western loneliness – even with an other half. If you look across the room at your chosen one, and they appear lacking compared to the unbelievable fantasy continually projected on our screens, some malaise must set in, surely? 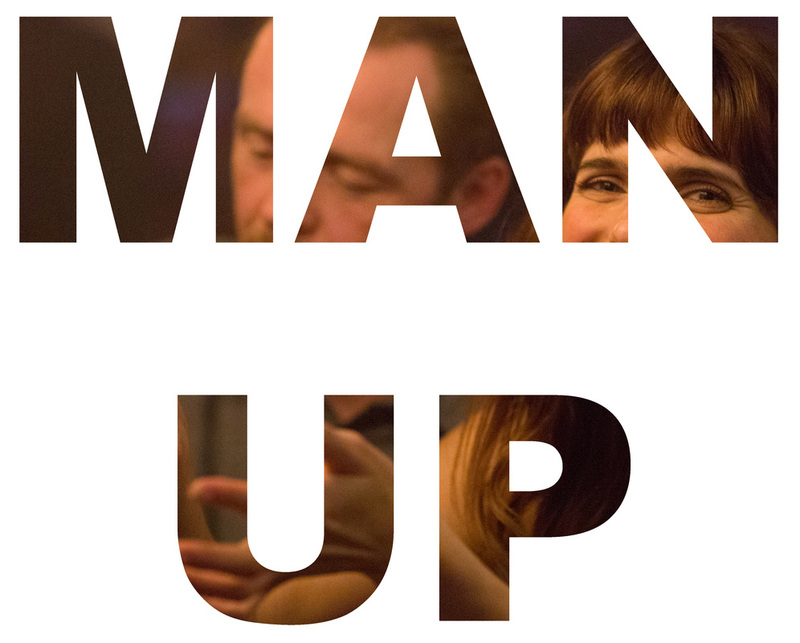 MAN UP is guilty of ironing out the complexities of psychological coupling, presenting a tedious, derivative vision of strangers connecting. - Dorky but beautiful leading lady. - Ugly/plain/fat male lead way out of his league pursuing the above, unless famous/rich/powerful (which he isn’t). - Weird friend of one or the other (get an extra bingo point [I don’t play] if said friend says sexually inappropriate things to get a laugh). - An ex-wife/husband/girlfriend/boyfriend, who acted badly against one of the protagonists, gets some kind of comeuppance. - Shared knowledge, bonding the pair, so arbitrary as to raise a guffaw of disbelief (get an extra bingo point if you actually roll your eyes). - A more attractive peripheral character is not chosen by one of the main duo. - A sudden race to correct a mishandling of passion. - A cringeworthy climactic public profession of love, stinking of undeserved ardour. Opening on Nancy (Lake Bell) at a Hawaiian-themed engagement party in a hotel, where she refuses to come down from her room. Rather then drink cocktails and be set up by the affianced, Nancy would rather watch THE SILENCE OF THE LAMBS on television. (Later, Jack (Pegg) will do a quote from the film out of nowhere; desperate grab at chemistry alert!) Finally at the celebration, encouraged by sister Elaine (Sharon Horgan – underused), Nancy has a conversation with a guy meant to be a match – the conversation aims at comedy awkwardness. CURB YOUR ENTHUSIASM the dialogue ain’t. Disillusioned and lacking self-confidence, the character of Nancy might have been a moving, relatable representation of modern isolation. An old acquaintance hints that she was once assured. Having your self-worth eroded and now struggling to keep head above water is squandered. The answer, by this mainstream genre, is always that someone will complete you and solve all your crises. Or to get over a painful breakup is to get on top of someone else, as if that is the universal panacea: Serial monogamy. Jack’s entrance into the movie catalyses a case of mistaken identity. Shakespeare this ain’t. During the day long date, making up the rest of the runtime, there is so little on-screen frisson a montage of hijinks in a bowling alley ensue – no dialogue, just a pop song to paper over the inefficiency of the script to generate the necessary entanglement. Wait till you get to the cornball ending, it is weirdly inappropriate and vom-inducing. After the ace spoof, THEY CAME TOGETHER, there is no excuse for these kinds of movies any more. Lake Bell’s excellent IN A WORLD… is far more deserving of your time.